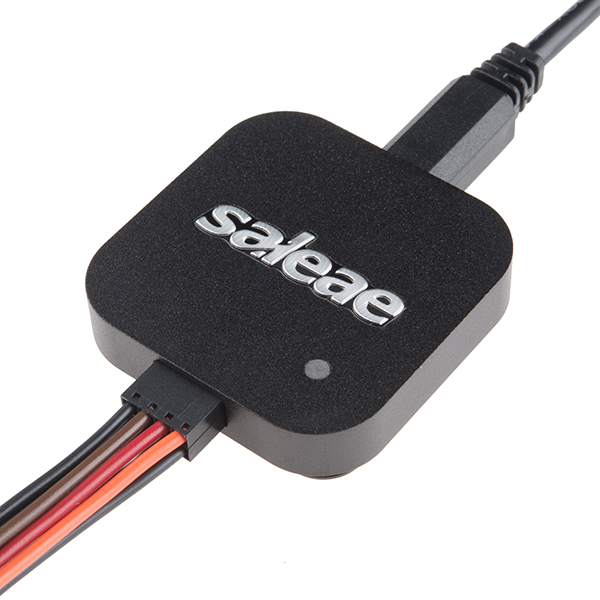 This is the Logic 4, a powerful logic analyzer in a very small anodized aluminum package from Saleae Logic. We absolutely love the simplistic, sleek design with light-weight software and a high-quality finish. Who needs 50+ connections when you're troubleshooting I2C? 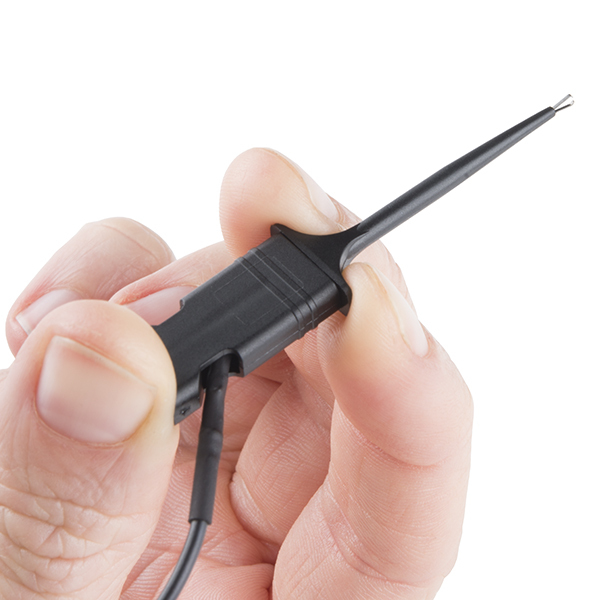 With USB connectivity, you can analyze up to 4 digital waveforms (with one input able to analyze both analog and digital waveforms) and timing information on your I2C, SPI, serial, and digital IO lines with ease. 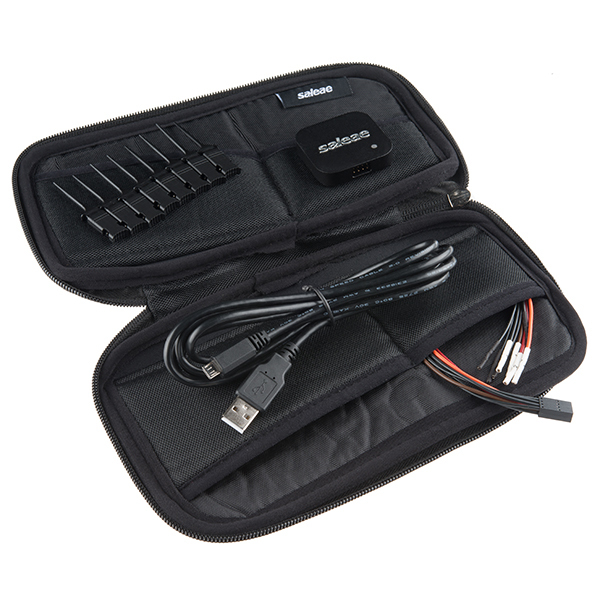 This little analyzer is great for those reverse engineering projects as well. 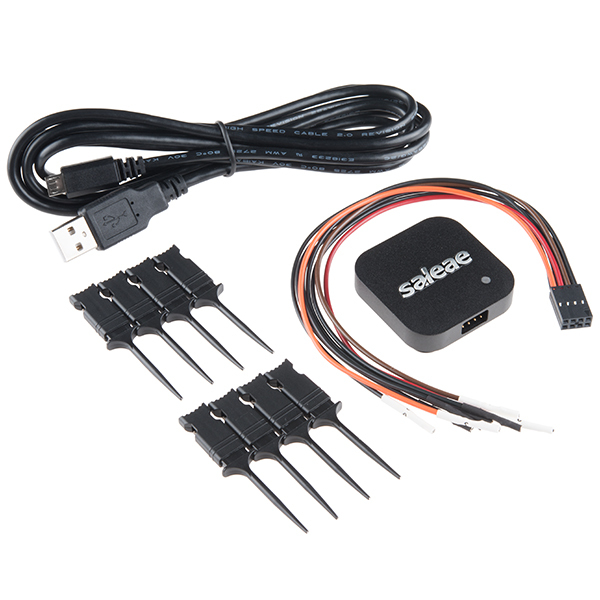 Works with signals 2.5V to 5V! 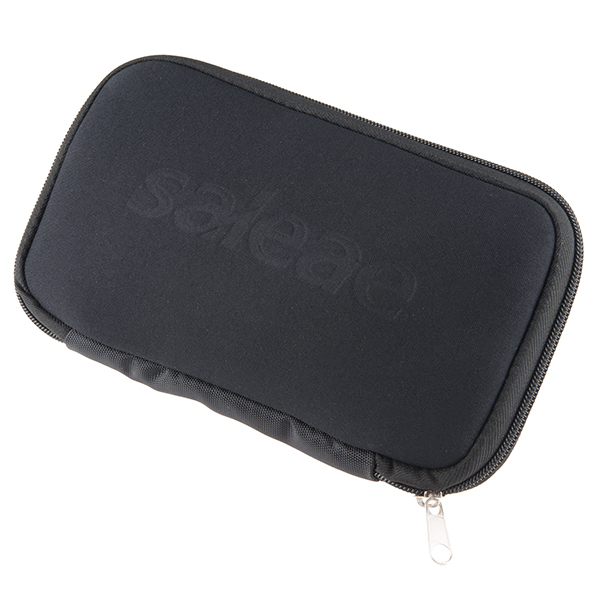 The Logic 4 includes everything you need in a compact carrying case. The test leads are disconnectable from the Logic unit, which makes it easy to remove the expensive portion of Logic from a board when you've got lots of hooks in place. This is the first logic analyzer I have ever used and I am not the least bit disappointed. My first tasks for this were to peek into my serial communications (USART and I2C) on my AVR project. The software is intuitive and I had incredible insight into my problems in no time at all. I recommend Saleae to anyone having a little trouble getting started on their serial implementations or curious about timing of particular events. Really, there are so many ways that this little tool can help a student visualize the process. Some more experienced EEs/Hobyists might say these are silly. But it's actually an incredibly good tool to have. I was able to quickly detect an issue with an I2C firmware library and make the needed changes and I'm a total rookie.